Ryan Pool is Director of Secondary Schools for Lexington School District One. From 2012 to 2016, he was principal of Lexington Middle School. Under his guidance as principal, Lexington Middle School joined the TransformSC network in March 2016. I distinctly remember the moment I first connected with TransformSC’s transformational mission: my team at Lexington Middle School and I were listening to the opening session of the 2015 TransformSC Spring Conference at the Columbia Convention Center. As we sat in the audience, hearing from brave school leaders about their willingness to take risks in their practices, ask more of their faculties, push the limits of public education, and much more, we knew we were not alone. We had been struggling for some time to define the new direction our school had taken. We didn’t necessarily know what to call it, or even how to clearly explain it, but we knew that we couldn’t continue to prepare students for a world that no longer existed. We wanted our students to shift from being databases for memorized information to sophisticated, creative problem-solvers – the kind of students who would not only be prepared for an uncertain future but to create their own paths. To teach these kinds of skills, we needed a new kind of school where innovation and critical thinking are the norm instead of the exception. TransformSC has invited all South Carolina schools to join a movement that was bringing voices together to talk about the future of our state. Prior to joining TransformSC’s statewide network, we were on the outside of a lot of conversations about public education’s lack of effectiveness or versatility. These conversations rarely included public school educators. We were excited to be a part of the larger conversation, showcase what we were doing at our school and find other like-minded educators. When I emailed TransformSC for more information, I was immediately met with enthusiasm and support. It was clear that they wanted to help us successfully describe and reflect on our own attempts at innovation. We were among peers who had experienced the trepidation and sometimes pitfalls of pioneering. It was safe and comfortable to talk about our journey and our organization’s vulnerabilities. Joining the network starts as an internal audit: a review of your school’s fundamental beliefs, practices, and collective “buy in.” We looked at specific innovations from the perspective of our culture, our communication and the degree to which our goals had been fully implemented. TransformSC helped us define and categorize our efforts in the areas of project-based learning, continuous assessment, competency-based progression and blended learning. Our team chose to pursue membership as a transformative school in project-based learning and competency-based progression. Later that the TransformSC team actually identified us as a blended-learning site as well! After the internal assessment process, we began to develop our innovation plan. This gave us a roadmap to start thinking about our goals more strategically. TransformSC schools are tasked with thinking about where they are going and how they will know when they get there. This had been missing for us until we joined TransformSC’s network. After developing our innovation plan as a school community, we were already thinking with more direction and strategy, which inherently benefitted our students. TranformSC sends a team to visit every school before accepting them into their network. During our visit last fall, we felt we were among friends, working with people who believed the same things we did about the importance of changing public education for every single student. Our teachers were able to introduce our students and showcase the learning that has resulted from risk-taking, thoughtful, innovative educational practice. As we talked with the team, we knew we had found a family. By January 2016, we had been accepted into the network and our teachers, community, and students celebrated this recognition – not only because it validated our practices, but also because we could now better impact education throughout our state. We are now part of the face of new opportunities in South Carolina. The beauty of personalized learning – whether it’s through blending technology, project-based learning, or progressing on your own timeline based on your needs – is that it can start at any place and time. When we hit roadblocks, it’s easy to pick back up and keep going. Joining the TranformSC network is a personalized experience. We’re all in different places with different experiences, challenges, and opportunities. TransformSC isn’t about fitting into someone else’s box. It’s all about breaking down barriers. With every school that joins the network, barriers fall for the children of our state. On behalf of the faculty and students of Lexington Middle, we are excited to be a TransformSC school. We’re excited to share our journey as the Transform movement grows! 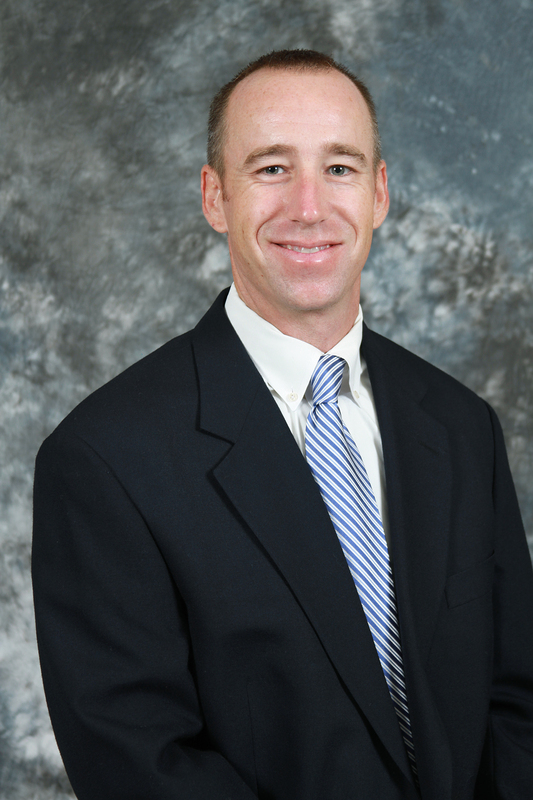 Ryan Pool recently accepted the position of Director of Secondary Schools for Lexington County School District One. Pool served as the principal at Lexington Middle School in Lexington One from 2012 – 2016. He is a graduate of the University of South Carolina, with a bachelor’s degree in Political Science, MAT in social studies, and master’s degree in education administration. Pool began his career as an education instructor at the University of South Carolina in Columbia. He began teaching high school social studies in 1998 in Charleston County, before moving to Lexington One in 2000. During a brief hiatus from teaching, Pool served as a Foreign Service Officer for the U.S. Department of State in Washington DC and Ecuador. He returned to teaching in 2006 and moved into school administration the following year. He is an alumnus of the South Carolina School Leadership Executive Institute and the South Carolina Education Policy Fellowship Program. Pool is a certified International Baccalaureate Head of School, speaks fluent Spanish, and is a member of AMLE, SCAMLE, ASCD, and SCASA. Summer Ramsey selected for Riley Institute at Furman Diversity Leaders Upstate class Behind the Scenes: How does the SC Aerospace conference come together?